Saturn conjunct Ascendant in the natal chart makes you a shy and conservative person. Responsibility is the main keyword for this aspect. You feel responsible for your family and others, you feel responsible for problems that are not your fault, and you have many responsibilities placed on you from an early age. You feel it is your duty to be the serious one and do the hard work. You certainly have a strong work ethic but there is such a thing as being too responsible. You already worry enough about your own problems so it is important not to worry about other people’s issues. They will probably feel that you are interfering in the matters anyway. You have to deal with many delays and restrictions. It will often seem that the universe is holding you back for some reason, denying you success and happiness. You may sense that the time is not right yet or you need more experience and learn more lessons. As a result, you can become hesitant or too scared to be proactive, daring or take risks. This overly cautious attitude can make it difficult for you to make friends. You may hesitate to make the first move with someone you like. Procrastination is not your friend. You will miss out on many opportunities and relationships if you keep putting things off. Simple problems or tasks can become very complicated and more challenging if you put things off. You have to take responsibility every step of the way. There more things you leave outstanding the more you will worry. The antidote for worry is work. Do not stay idle. Loneliness, pessimism and depression can be avoided by not leaving things to the last-minute. Write a list of things you need and want to do in your diary each day. Tick them off as you go and you will notice a great improvement in your self-confidence. Even write other things down that you have done so you can look back with pride at your many achievements. You may be painfully shy when young but this serious aspect does improve with age. Saturn is a late bloomer. You will master those things you were fearful of. You will gain respect for your hard work, attention to detail and reliability. You lover will admire you for your dependability and loyalty. In your personal and professional life you may have many responsibilities but someone has to do it. You have the necessary qualities to take charge in times of crisis. People will come to you for advice because you will be an authority in your chosen field. 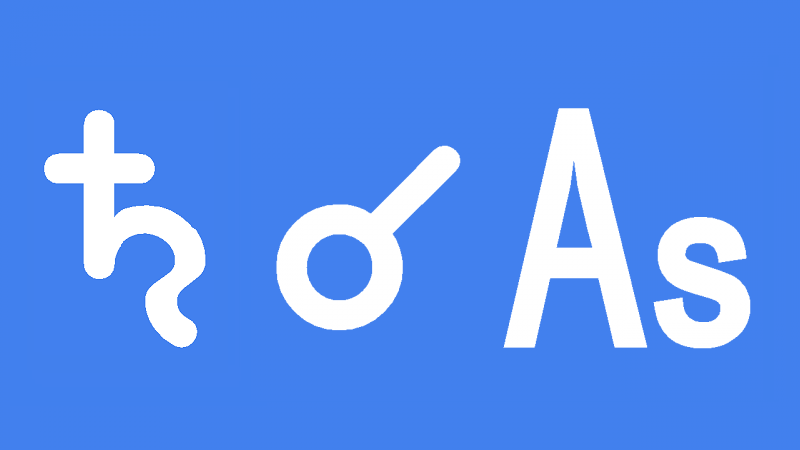 Transiting Saturn conjunct Ascendant is a time of hard work and extra responsibility. Imagine you are a king or queen. It is time to bring in the harvest and close the drawbridge. Finish up outstanding business matters and projects outside the walls. It is time to go on the defensive and protect the gains you have made in recent years. It is your responsibility to look after your family or tribe. They come first so you cannot be looking after others. With all loose ends tidied up and old obligations fulfilled, it is time to conserve your resources and get things in order. You cannot afford to waste time or money on anything new or exciting. You must save what you have and cut down on waste. This is also a time of preparation for new adventures and conquests once the long cold winter has passed. As you withdraw into your castle you will cut off ties with outsiders. Anyone who is not essential is dead weight. High maintenance relationships that have caused too much stress should finish up now. However, do not withdraw too far and isolate yourself. You need to stay in contact with the important people in your life, like your family, trusted friends, advisors and assistants. Donna Summer 0°08′, Pauline Hanson 0°08′, Meghan Trainor 0°17′, Howard Hopalong Cassidy 0°29′, Percy Bysshe Shelley 0°30′, Christopher Lee 0°34′, Chris Evert 0°39′, Jamie Lee Curtis 0°40′, Sean Connery 0°41′, Edwin Hubble 0°55′, Elizabeth Prentiss 0°56′, Sara Gilbert 1°17′, Ulysses S. Grant 1°24′, Jeff Bridges 1°27′, Margaret Thatcher 1°30′, James Woods 2°06′ . I drew up the moat Jamie and kept only a few close friends and some family. I removed all the deadweight and avoided any untrue, fake hidden agenda folks. There were a few. I actually felt this coming while Saturn was in my house of undoing. Transit Saturn hit my ascendant 25th December 2016 and proceeded to hit my moon a month later. And continues due to retrogrades. Except my lovelies. Pluto is doing his thing in my first house too. I know you are going through this too. Thank you Penelope. I had not thought about the lack of motivation. Oohh, I need that! Jamie, is transit Saturn opposition ASC much the same? It feels like it is in some ways, but not in others. For instance, I am buying myself jewellery, something I have never done before. And I have no responsibilities, since I have no family left. But I have isolated myself, partly because I had no choice. Strangely enough, though, I’m not miserable. Indeed, I hold out a (perhaps unreasonable) hope that my life will improve. Sophie and Marcelo, i think it will be similar but more focused on relationships. I will write about it before too long. Oh, please do Jamie! I instantly nodded (in awe) to your ‘more focused on relationships’. I am really looking forward to writing on this. I’m very interested too my eldest girl has it too. How can i get my personalized detailed analysis for the year 2017? With my Saturn so heavily aspected in my natal…I learned to work with that great time task guide. I am an intuitive. I know when the right time is because I have practiced the energy enough to know when something is not going to be a balanced solution. I HAVE BEEN SET FREE BY RESTRAINT! It keeps me going in the RIGHT DIRECTION! The King of the Universe is kind and wise..and so are you Jamie Partridge. Thank you every day for your great work! I have this I my natal. I can certainly say that feeling like “having to deal with delays &restrictions” ( with real evidence! ), is spot on. Also being serious & shy. Although I’m outgoing outside, I’m still shy. P.S. when are the dates of this transit for 2017? Hi Jamie! Saturn will enter my first house soon (ASC 2,53). Any thoughts on having it paired with Pluto in the first? I’ve no natal planets in the first, third, or seventh house, however, my natal Pluto (and Yod apex – Sun, Moon sextile) is in the ninth (19 Libra 35). Can you make a Saturn Square Ascendent? What if saturn is my asc ruler and hit my asc by a retrograde transit. Can it be a capricorn returning 🙂 Its conjunct the moon on its way. Progressed Saturn conjunct progressed Asc; great deal of fear cropping up. Afraid of what can go wrong in any situation. also hard to sleep due to worry. Saturn and Asc are in late Gemini. Transiting Uranus is also conjunct natal Asc so lack of sleep might also be that and it certainly triggered a fear of sudden nasty surprises.